Happy Mother’s Day ! For all Mothers. 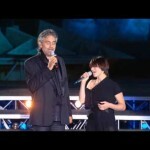 Zene: Andrea Bocelli – Per Noi – YouTube. “La voce del silenzio” is a 1967 Italian song composed by Paolo Limiti, Mogol and Elio Isola, presented at the Festival of Sanremo 1968 in the interpretation of Tony Del Monaco and as “Silent Voices” by Dionne Warwick. The Italian single version by Del Monaco had “Una piccola candela” as the B-side. The version by Dionne Warwick was a song from the album Dionne Warwick in Valley of the Dolls 1967. 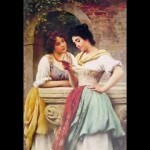 “Por ti volare”_Andrea bocelli – YouTube. Andrea Bocelli – La Voce del Silenzio HD (live) – YouTube.